Simplexity Applied: Motions Perception Interactions presents a unique collection of works produced by the vibrant Postgraduate Community at University of Wales Newport. Simplexity implies that simple processes, through a dynamic resolution of technologies, can trigger new phenomena in the human mind. Following this agenda, these emerging works explore the aesthetic boundaries of human perception and propose new ways of engagement through artistic or ideological concepts of motions, perceptions and interactions. 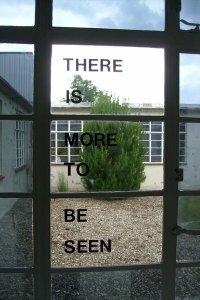 These cross-media works subject their participant to such an experience that stimulates novel sensory-motor experiences, self-reflection and creative pleasure. Just found out that this lovely design exhibition is on at the Howies store in Bristol. Will have to go have a look. Ink-dot – design and Illustration, Bristol. 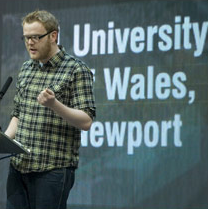 FutureMusicLab is a new applied research and enterprise network located within Newport School of Art, Media and Design at the University of Wales Newport. FutureMusicLab hosts applied research projects and creative labs that focus on experimental and interactive music within the emerging digital ecology. The lab engages in convergent media, digital tool developments, interface design, and new music and media content. FutureMusicLab will also act as a music IP and rights forum and will be announcing a Music IP conference and the launch of WalesCC (Creative Commons) in the new academic year 2009/2010. We welcome proposals for international collaborations, research partnerships and residences from researchers, the creative industries, businesses, policy makers, artists, and activists. For more information contact the FutureMusicLab Director, Andre Ktori. A FREE artist-led networking evening, presenting a series of live audio-visual collaborative performances and showcasing installations, films and performance art by emerging local visual and sound artists, and musicians. INTERPLAY is a platform for flourishing local creative talent, nurturing inter-disciplinary and experimental collaborations, meeting new creative people and promoting your own local arts events and exhibitions. Bring along any fliers or promotional material for your own events, exhibitions and gigs. Polestar will be performing at Dialogue .5 using a JazzMutant Lemur interface. Check out the JazzMutant website for more information. The true innovation of the Lemur lies in its unlimited touch points. Live performers are no longer limited by a single mouse click that does one task; they can now use all of their fingers for true multi-tasking. Lemur’s multi-touch technology makes it possible to use all ten fingertips to accurately control multiple user-interface objects simultaneously. The agile responsiveness and radical differentiation of the Lemur has set the standard of what a controller should be. Switchboard is an exciting new online channel being launched by Switch, Ffotogallery and May You Live In Interesting Times, Festival of Creative Technology 2009, 22 – 24 October 2009. Switchboard will continue to run during Autumn 09, as part of Ffotogallery’s Vision On new media season. Using freely available social networking platforms Switchboard will introduce audiences to a mixture of live and edited content, acting as the ears and the mouthpiece of the festival and showcasing its highlights. As a central website, Switchboard will open up a dialogue between the physical festival and a global audience online. It will provide up to date audio and video reports, reviews and interviews as well as an exciting program of specially curated sound art, web based tutorials and interactive user generated content. possible by Safle with the financial support of the Arts Council of Wales. Switch members Matthew Jackson, Jamie Thomas, Will Barnard and Jake Turntables are playing at reSonate festival on the 8th July. The Cage inspired set includes the use of a bicycle pump, packaging tape, blunt scissors, plastic rulers, a singing bowl, an electric whisk and a ms pinky time code vinyl. 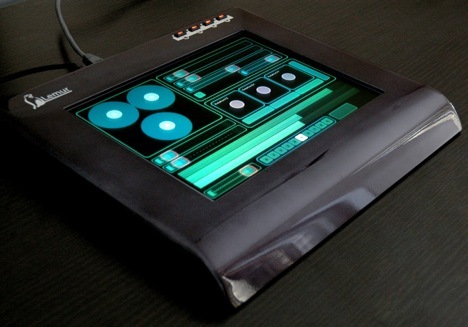 Produce your own electronic music with the Hobnox Audiotool. All in your browser. Live recording of your tracks is finally possible. Choose your set-up, add, remove and arrange the devices you need and record your track to the ‚myFiles’ section of your Hobnox account. From there, publish and share. 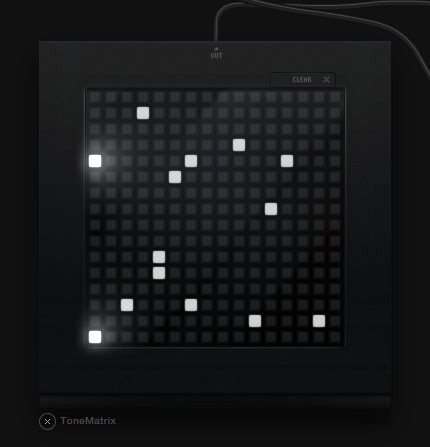 The first step towards timeline & sequencer, saving arrangments & remixing tracks is done!